Junior Choir at Christmas ! Junior Choir have been very busy during the last week. 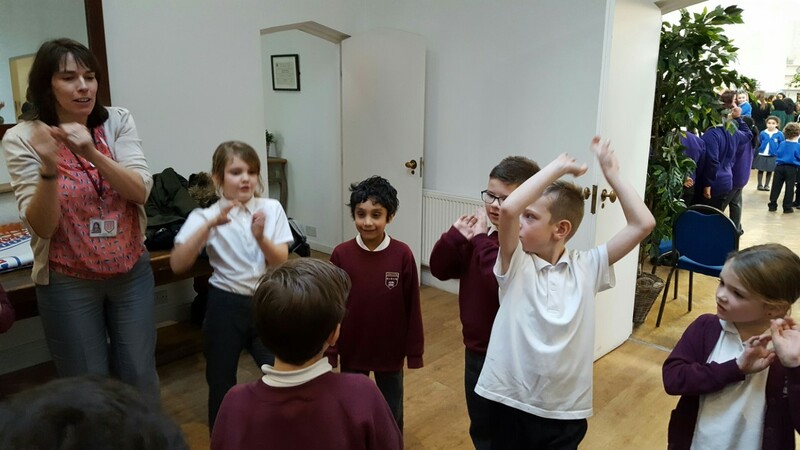 We have performed at Oak Tree Court residential home on Friday 9th December, St Peter`s Church on Saturday 10th December and Brook Meadow Court residential home on Monday 12th December. 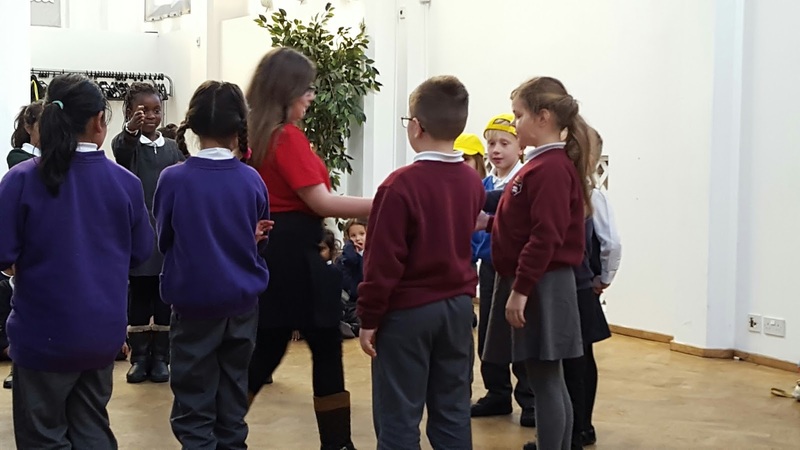 We also performed for everyone at school on Tuesday 13th December ! 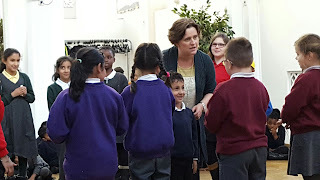 On each of these occasions every member of our choir has performed extremely well in these very different venues and we have received many compliments about our singing. Everyone was also very well behaved, polite and friendly towards the people we met in our community. 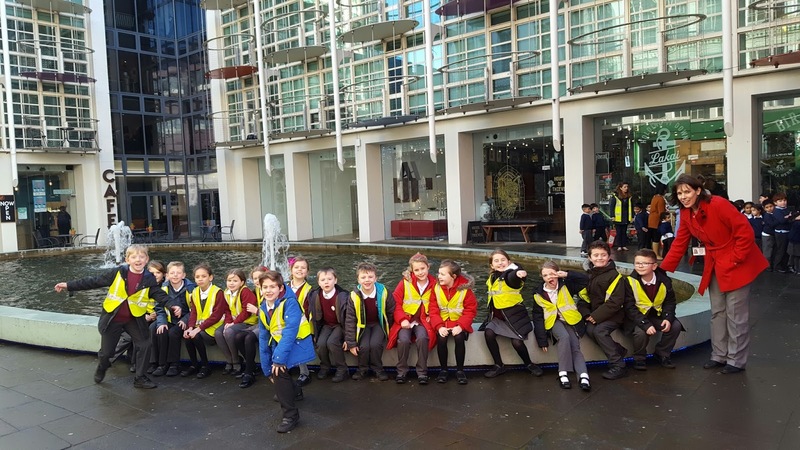 Thank you very much to the staff and parents who have supported us on these occasions- Mrs Mahmood, Mrs Guren and Mrs Hart, we have really appreciated your time and enthusiasm. Thank you also to our families who have supported us in our weekly practices. We look forward to our next event Young Voices-at the NEC. On Thursday 8th December, 17 children represented Year 3 at a Singing Connections workshop at the Custard factory in Digbeth. This opportunity was provided by Birmingham Music Service and our children had a very enjoyable day learning new songs and games designed to enhance and extend our learning in all areas of the curriculum. We will be sharing our new activities with the rest of the school next term. Our children were extremely enthusiastic and participated very well all day, receiving compliments from the organisers and other schools. 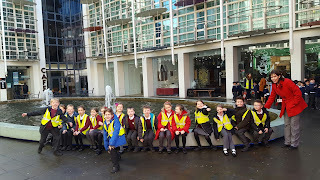 Many thanks to Mr Haycock for transporting us there and back in the school minibus and to Mrs Bundy for her support, care and enthusiasm all day. 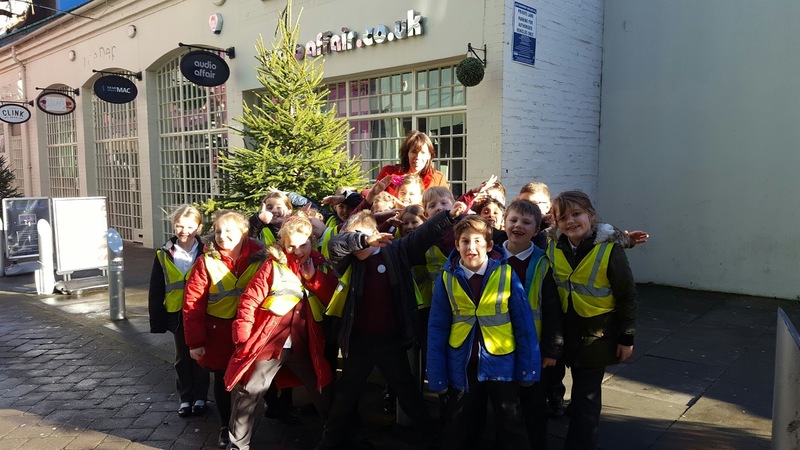 Reception`s visit to the Post Office to post our letters to Santa. On Tuesday 6th December , R Ash and R Oak walked to the Post Office to post our letters to Santa. We wrote them last week , sounding out our words carefully and using our fancy flicks in our handwriting. We sang Christmas songs outside the Post Office too. Thank you very much to all the Mums and Dads who came to help us, it was lovely to have your company and support. 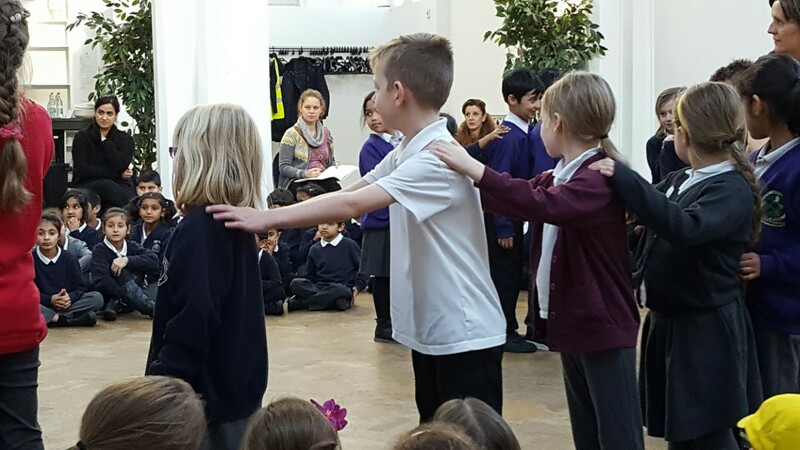 On Wednesday 7th December, Reception and Nursery performed their production `Angel Express` to their families. The children have been working hard, learning their lines and practising songs and actions. 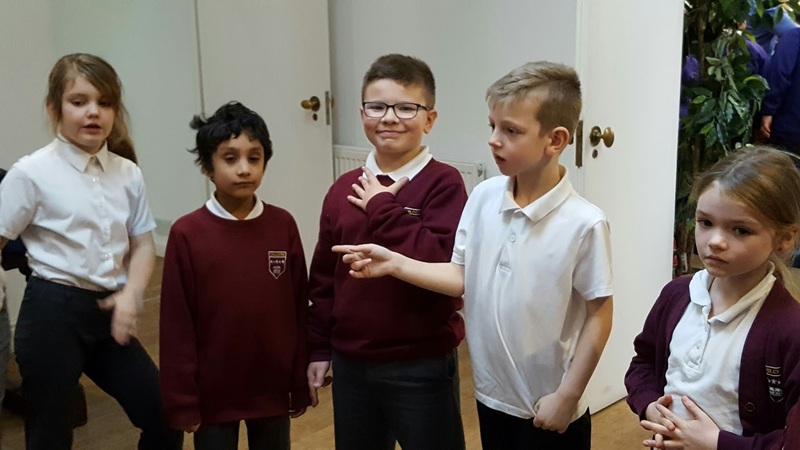 It has helped all of the children to develop their speaking and listening and confidence skills as well as covering many of our objectives in music and expressive arts. Everyone looked lovely in their costumes and fully deserved all the praise they have received. 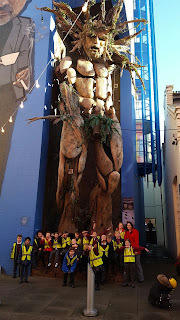 All the Reception and Nursery staff were very proud of the children and we are sure that all the families are too. 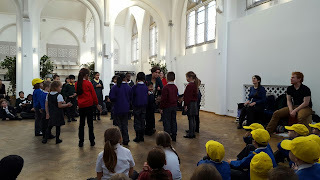 Today year 3 was transformed from a classroom into the House of Commons, as part of Parliament Week. We listened to the manifestos of the two party leaders before we cast our votes at the polling station using real ballot papers. It was a landslide victory for the Yes party so they took up their seats in government. Everyone else took their seats as the opposition and the debate began. 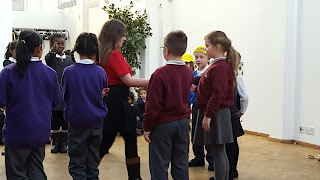 We were thinking about whether the machine from The Alchemist's Letter, which we have been looking at in our Myths and Legends work, should be banned. 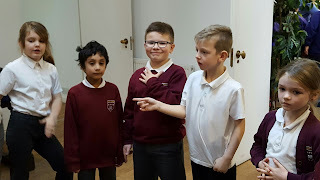 We came up with very convincing arguments and everyone got involved in our debate. 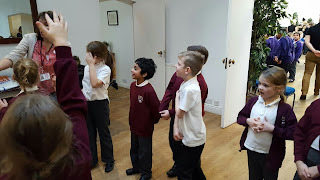 We were all very respectful of each other's opinions even if we didn't quite agree with them! The Speaker of the House of Commons helped make sure we took it turns to speak. It would seem that there are quite a few future politicians among us!